LG is launching a new phone in its V series called the V20. This brand new smartphone will have an attractive screen and is especially highlighted by how it uses the latest new Android operating system. Its immense memory support and attractive battery functionality especially make this a great phone to look forward to when it is officially released. This is a smartphone that is expected to feature a 5.7-inch IPS Quantum display. This quality point has a stunning look that should offer full 1080p display functions. The preliminary model has been measured to where it should be about 173g in weight and just 77mm thick. Therefore, its exclusive design should be very easy to carry around and use for many purposes. This is fully expected to be made with a coated aluminum back and a glass front. The features should be properly reinforced to make the phone easy to use and secure. The performance on the LG V20 is expected to be rather appealing and useful. This will offer a Qualcomm Snapdragon 820 processor with a quad-core arrangement. It will also use 4 GB of RAM for more programs. This should also work with a dual-screen support feature. This is similar to what was found on the LG V10 from a while back. This feature will allow the phone to quickly work without struggling to try and load things in any manner. When released, customers will have the option to take in a 32 or 64 GB drive based on the model the customer chooses. The V20 will also have a microSD support setup that can handle a card of 2 TB in size or higher. This should provide anyone with an intense amount of support for getting the most out of the phone. One of the more highly anticipated features of the phone is that it will offer Android 7.0 at launch. This is designed with a stronger battery management feature that will keep the phone from using more energy than needed. The camera feature on the LG V20 will be a 16-megapixel unit. It will use a phase detection autofocus feature to get clear shots everywhere. A 2x optical zoom is also expected to be included on this camera. The front camera will be an 8-megapixel unit. Specifications show that it will work with many of the same features as what the primary camera already has. The multimedia support here should have the same types of video and audio files that any other phone can handle. It will be capable of playing back many high-end files and will do especially well with 2160p files and should record them at 30fps. The battery on the LG V20 is being promoted as a fully removable mode with a 3200mAh power store. The Quick Charge 3.0 feature will let the user charge up the battery at a faster rate. In terms of connectivity, this smartphone will feature a Bluetooth 4.2 link plus dual-band Wi-Fi setup. Preliminary reports also suggest it will have an infrared port and an NFC connection. It all will work with a reversible USB connector. The screen should be bright and easy to adjust. It should not take much time for this to connect up to a proper network when the planned interface is considered. The microSD card should be read with ease, but it will more than likely take a while for the phone actually to load it up and make it ready for use. The battery may come apart easily from the rest of the phone if the body isn’t secured right. Does the LG V20 comes with a secondary display? If yes, what kind of display has been provided? Yes, the LG V20 comes with secondary display, the display has been kept twice as bright as the main display. The display is of 2.1 inches and offers a screen resolution of 160 x 1040 pixels. How many SIM card does the LG V20 supports? The phone comes in two variants i.e. Single SIM (Nano-SIM) or Dual SIM (Nano-SIM, dual stand-by). Versions: H910 (AT&T); H918 (T-Mobile); LS997 (Sprint); US996 (U.S. Cellular); VS995 (Verizon); H990DS (UAE, Indonesi; H990N (Hong Kong). Also known as LG V20 Dual H990DS; H990N with dual-SIM card slots. What are the external dimensions of the phone? How much does it weighs? The phone measures 6.29 x 3.07 x 0.30 inches and weighs around 174 grams. Does the display of the LG V20 has some kind of protection or do I need to use a screen guard? The display provided in LG V20 is protected by Corning Gorilla Glass 4 that makes the screen resistant to all kinds of scratches. Does the LG V20 come with any kind of certification? Yes, the LG V20 comes with MIL-STD-810G certification that makes the phone resistant to drops. Does the phone offer GPS? Yes, the LG V20 has GPS compatibility with support for A-GPS, GLONASS. What are the various color options of the LG V20? The phone is available in three different color variants i.e. Titan, Silver and Pink. Has the phone supports FM Radio? Yes, the LG V20 supports with FM Radio in it. Does the LG V20 have NFC support? Yes, the phone does support NFC. Which kind of processor is provided in LG V20? The LG V20 comes with Quad-core (2x2.15 GHz Kryo & 2x1.6 GHz Kryo) and backed with Qualcomm MSM8996 Snapdragon 820 chipset. Does the LG V20 offer fingerprint scanner, if yes where is it located? Yes, the phone does come with a fingerprint scanner, the scanner is located on the rear mounted on the phone and is touch based. Yes, LG V20 will accept microSD card, one will be able to expand the phone’s memory up to 256GB. Does the phone provides support for LTE and VoLTE networks? Yes, the phone does support LTE and VoLTE. 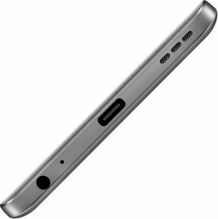 Does the phone features with an earphone jack? Yes, an earphone jack has been provided in the LG V20. What kind of battery is provided in the LG V20? The phone comes with a removable Li- Ion 3200 mAh battery. How many sensors does the LG V20 phone has? The phone comes with eight sensors i.e. Fingerprint (rear-mounted), accelerometer, gyro, proximity, compass, color spectrum. What kind of cameras are provided in the LG V20? A Dual 16 MP (29mm, f/1.8) + 8 MP (12mm, f/2.4) primary camera is provided in the phone that is supported by laser autofocus, OIS, LED flash and check quality. The front shooter sports a 5 MP camera.